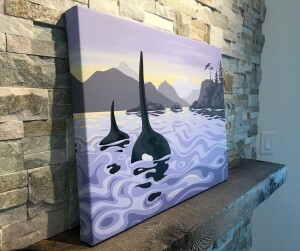 This year I will be donating a 18″x24″ Limited Edition Canvas print of ‘Returning Home’ (my painting featuring two orcas cruising the Pasley Islands at sunset) to the Marine Education and Research Society Online Auction/Fundraiser. Visit the Online Auction Webpage to view all the amazing items up for bid! Auction is open March 29 – April 7 2019. “The Marine Education and Research Society (MERS) is a registered Canadian charity dedicated to promoting conservation and understanding of marine ecosystems through scientific research, environmental education, and marine wildlife response. 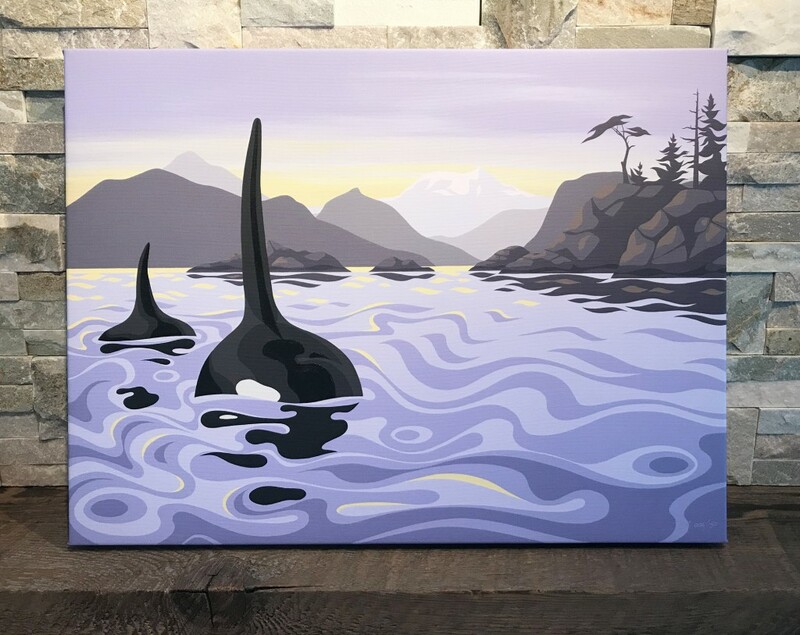 We are based on northern Vancouver Island, British Columbia and incorporated in 2010. MERS formed in order to bring together existing marine research and education projects as well as to provide a platform from which to conduct further work.